As a gardener, Bev is all too familiar with trouble rabbits can cause to a freshly planted flower bed. Often you don’t see them, just the remnants of their last meal. 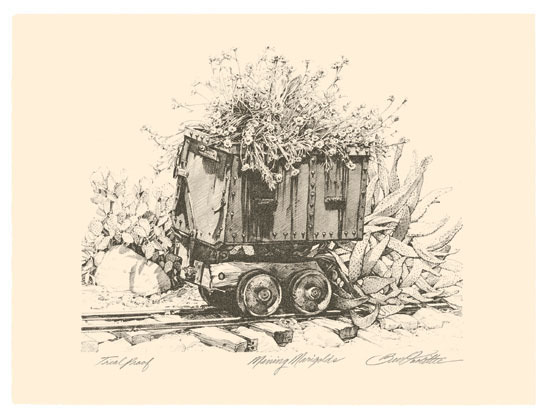 Doolittle encountered the mining cart one afternoon and was struck by the idea of what a great planter it would make. Put together, they create the joy of Mining Marigolds.